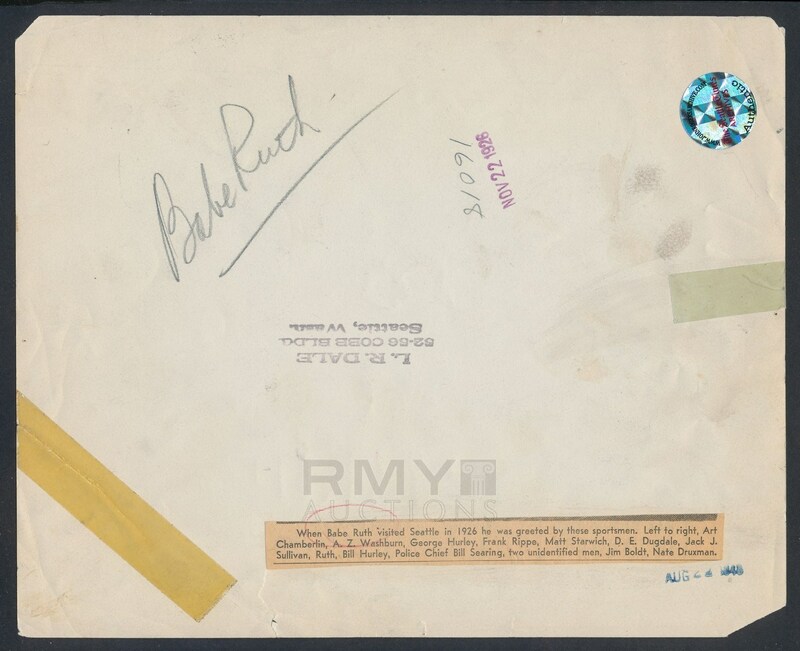 Lot # 28: 1926 Babe Ruth, "Bambino Visits Seattle" with Dan Dugdale and Local Baseball Dignitaries! Large and historically important 1926 photograph of the legendary slugger Babe Ruth as he visits the great city of Seattle and poses on the streets with other local baseball figures. Interestingly, the group is posed in front of a sign that reads "Joe Jackson!" 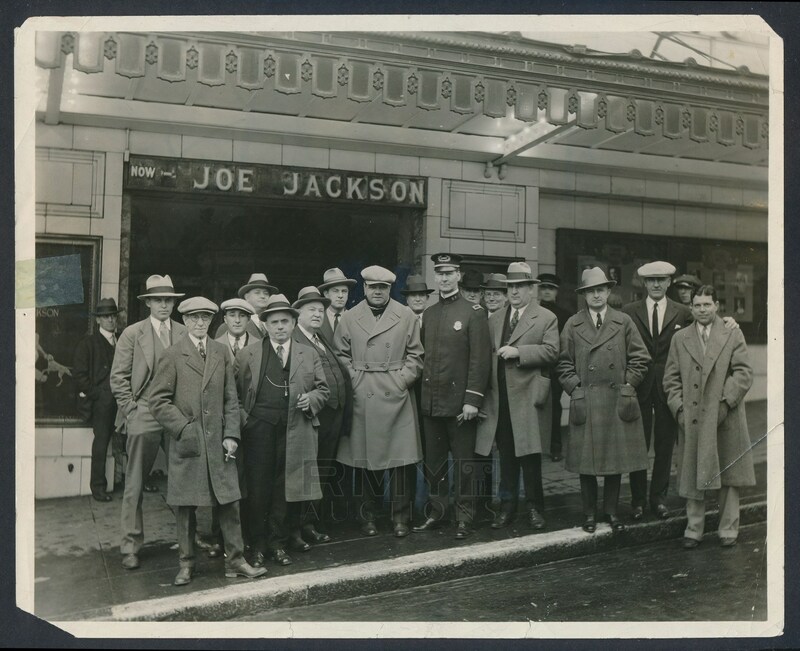 Ruth is seen in overcoat and trademark floppy hat along with a police officer and while not all the men are identified the presence of Dan Dugdale is important as he was one of the most influential men in bringing baseball to prominence in Seattle. Stamped on the back by photographer L.R. Dale of Seattle, this is a really cool piece of history related to baseball in Seattle and Ruth on the verge of his greatest season! The image quality is nice while there is a spot of tape on the far left as well as a crease and some corner clips.